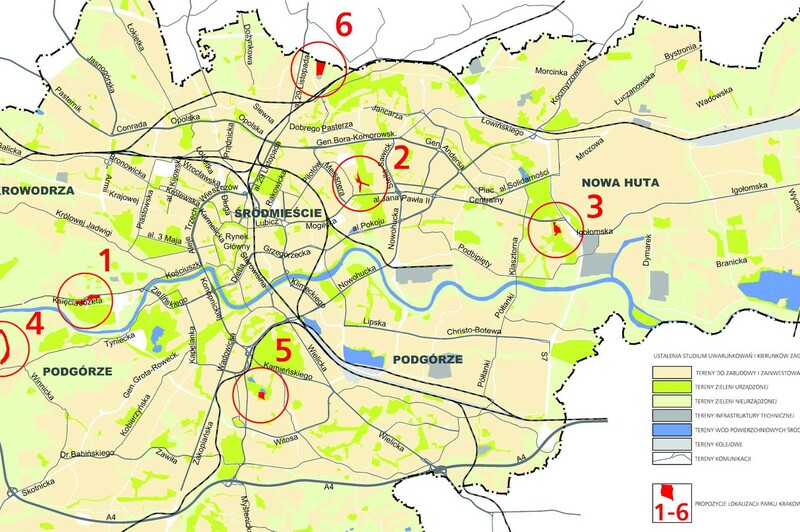 The city of Krakow has designated six areas in the city totaling 35 hectares where residents will be able to plant a tree to commemorate the birth of a child. The move is designed for the many Cracovians who do not own land and thus are otherwise unable to follow this tradition. Anna Szybist, a city councilor who supported the idea, praised the move as “a grassroots initiative” which would furthermore teach children to appreciate nature. Approximately 15,000 babies are born in Krakow annually. The areas can currently accommodate up to 7,000 trees, but Deputy Mayor for Development Elżbieta Koterba has said they may be expanded pending interest from the community. Details for how residents can participate will be announced in the following weeks. Małopolskie authorities raided offices and employee homes in Krakow and Tarnów, seizing documents and data carriers. They suspect at least one employee of embezzling over 597,000 PLN worth of medical equipment, an offense punishable by up to 12 years in prison. More developments in the case are expected to follow. @ Salwator tram man – You and I generally seem to agree on things,but the ‘pygmy’ label might be slightly unfair. (A metaphorical use of course, but some would describe the term as sizeist). As always, beware of generalizing about people. On the other hand, the overall tone being set by the PiS leadership does seem to be unnecessarily confrontational. The opposition undoubtedly has its flaws, but there seems to be a marked lack of good will on the part of some individuals in the ruling party (no names mentioned,of course) and – to the outside observer – not much evidence of ‘civilized debate’, as the Krakow academics have pointed out. For some reason, the world’s media have taken it upon themselves to put Poland’s democracy under the microscope – more so, perhaps, than other countries in the region – and every sign of quarrelsomeness and infighting gets magnified out of all proportion. And if I seem to be lecturing you about your comment, then may I add that I am writing these line from sunny San Escobar. The “overall tone”, as you put it, is set by the person at the top of any organisation, whether in business or politics. And in Poland at the moment, the man at the top of the political pyramid, even though he is only a humble parliamentarian, is a certain J. Kaczynski. OK, Salwator. I wouldn’t necessarily disagree with you. since you are clearly more familiar with how things are in Poland than I am. Looking at it from the outside (San Escobar or wherever), Mr K seems to be increasingly bending everything to suit his own personal agenda. The fact that any opposition is in disarray seems to make him unassailable. But, judging by his occasional intemperate pronouncements (“parasites”, “worst sort of Poles”, etc) he isn’t doing all that well in the field of public relations. Speaking of personal agendas, I’ve been conducting a bit of a one-man campaign to defend the reputation of wartime leader General Wladyslaw Sikorski and I’ve been posting stuff all over the place, including an article in the 2nd December issue of the London ‘Tydzien Polski’ (only available in print so far). The charge made against the general is the unwarranted one of anti-Semitism. There were undoubtedly anti-Semites in the Polish army, but Sikorski wasn’t one of them. The accusation made against him deserves more than a written rebuttal, in my opinion. Since I’m sure that the Krakow Post is required reading in the top echelons of the Polish government, then maybe someone will agree with me in this case. The former Polish ambassador lodged an immediate protest but it didn’t seem to make any impression on the author. Therefore more action is needed. Not necessarily a court case, as I’ve said elsewhere, but an official demand for an apology might be appropriate. Kudos to your efforts, but I doubt if anyone in this government is remotely interested in the reputation of Sikorski. Maybe. Maybe not. But – and I’ve made this point elsewhere – this could be something where the current government could actually gain itself a bit of sympathy instead of the usual criticism from foreign observers. Sikorski left no immediate family, as far as I know, to defend his reputation, He may not have been a saint – incarcerating army people who could have been useful in the front line simply because they were his political opponents is unforgivable – but the accusation that he did so because of his personal anti-Semitism is slanderous. I don’t actually expect much from this government, to tell you the truth, since they seem to have alienated a couple of independent and fair-minded historians already (the Gdansk museum business), but maybe there is a distant relation of Sikorski himself who might feel this is worth pursuing. Unforgivable? I thought you were supposed to be defending Sikorski. But I agree that imprisoning people simply because they belonged to the Pilsudczycy or the Sanacja was a poor judgement call. But that’s the way of Polish politics, isn’t it? A party gets into power and a clean sweep is made of anyone considered “disloyal”. Anyway, I’m getting off the tram now, since I have to change for San Escobar. I believe the San Escobar joke has hit the buffers. And now the “ordinary member of parliament” is announcing that he will reprimand the German chancellor. If I were the prime minister or the president, I’d resign in protest at this man’s presumption. Have you seen “Ucho Prezesa”? How can this be satirical if the Prezes likes it? His only objection, it seems, is that adult cats don’t drink milk (and that’s about the only thing where he and I agree). I caught one episode. It was rather good, I thought. But I can see why he wouldn’t object since it essentially makes fun of everyone except for him, which kind of defeats the object of the exercise. Here’s some satire by Marian Hemar aimed at Gomulka, which apparently made him furious. Czytał, wahał się, chwiał się. Otwarcie mówiąc – bał się. Że on się – trudno – boi. Wszyscy się z niego śmieją. “Co to takiego? – pyta. Mnie razi od pierwszej chwili. “Co? – rzekł Gomułka – On? Znowu? “Nie może pójść – rzekł Gomułka. Ręce precz – rzekł – od Litwy. W Wilnie, co? Tuś mi, bratku. Grabieży czy aneks j i! My jak dziatki przy tobie! Hemar was a brilliant satirist and very daring in his time. But I think we’re straying miles away from the above article and not everyone reading this speaks Polish. Signing out for now. Cheers. PS I wonder if Poland is ready for a “Spitting Image” type of satire which spared absolutely nobody? Mr. Karski, maybe you didn’t understand all the Polish dialogue, but I’d recommend watching all episodes of “Ucho Prezesa”. If Mr. Kaczynski imagines this is a flattering portrait of him, then the satirists have done their job very well. Last reply to vegetarian cyclist (not wishing to be rude). I took your advice and watched them all. I think I see what you mean. The “prezes” character (guess who?) comes across as quite witty – even likeable. I guess the satire consists of the fact that everyone else fawns and creeps. And if I missed any fine points of language, then the version I saw had English subtitles. More question marks about the PiS government’s view of Polish history. This time about the scope of the Gdansk museum. Here’s a rather good article about Poland in WWII (in French, but there’s a translate function) except for the myth about cavalry against tanks. All the good ones were taken out in Sondeaktion Krakau. All that’s left are the dregs.